I think I may be obsessed with dungarees. And I bought another pair too. THIS denim dungaree is perfect! I love your style! :) Shoes are perfect!!!! I ja ih volim...to je nekako najležernija i najviše kul vrsta traperica:) Ovaj par ti super stoji...a crvene cipelice su preslatke. 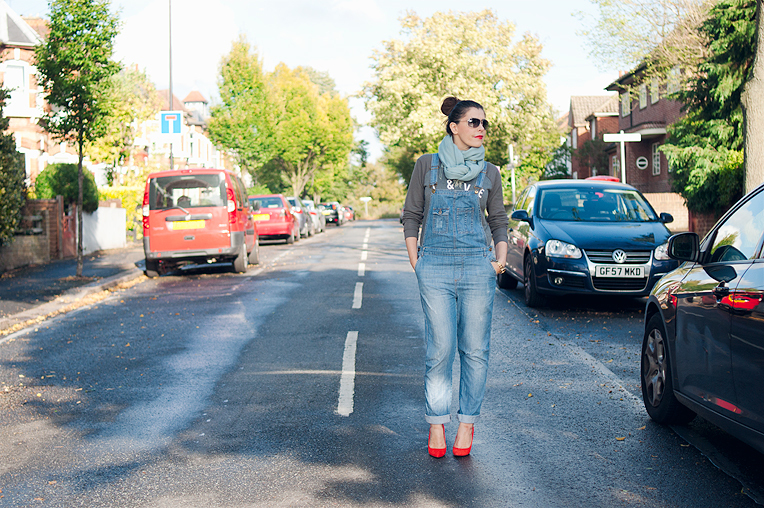 I also like dungarees and with these red heels it looks cool and chic at the same time! 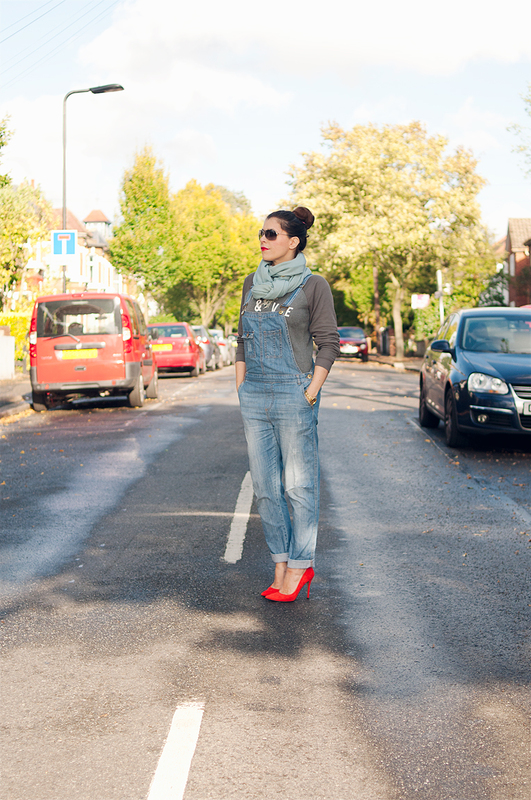 dungarees and a sweatshirt with such fancy pair of heels? I seriously love all them together! oh and I also love the scarf, your bun and the red lippie. such a nice look overall! Love the dressed up touch with the high heels. OMG your heels!!! they are so eye catching and beautiful! a nice touch to the dungarees!! love this look!